Working with first-time home buyers is always exciting. Doing anything for the first time, most people want to understand the whole process before taking the first step. In real estate buying, that’s like taking a drink off a fire hose. The reasoning is simple—there are too many different types of home buying situations, and many different ways to buy. 1. The first step is finding a good buyer’s agent. This isn’t required to buy a home, but working with a professional with experience in all facets of home buying makes the process easier and generally tips the value scale in the buyer’s favor. Your Realtor can generally provide you with the BEST resources for home loans and obtaining a pre-approval letter. 2. Explore. After discussing the ideal home with your agent, you should be looking at properties online and getting out to see the ones you like. 3. Investigation. When real possibilities pop up, its time to research. Learning as much as possible about the home, its neighborhood, and how it would “fit” your life is important! 4. MAKE OFFER! Making an offer is usually done by writing up a Residential Sale Contract that details the entire process of buying along with all the pertinent details. Price, EARNEST MONEY, Closing Date, and timelines for INSPECTIONS and TITLE WORK are written into the offer. 5. NEGOTIATIONS. Every single detail that was put into the contract is open to negotiations. Usually price, closing date, and closing costs are the key items under contention. Nothing like moving into YOUR OWN home! 7. CLOSING DATE. The exchange of money from the buyer (and or lender) for the DEED to the home is called CLOSING. 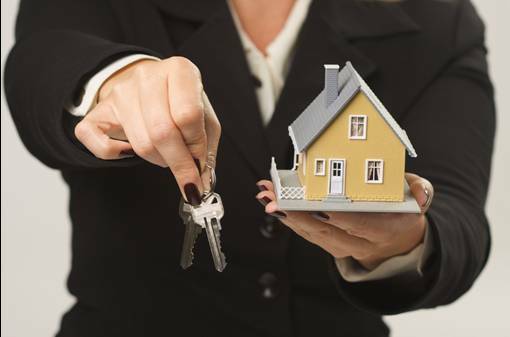 Unlike buying a car or other personal property, the closing isn’t instantaneous. In St Louis, most closings occur at title company offices. The buyer usually comes in to sign loan documents, the HUD1 STATEMENT, and other documents to transfer ownership. The Seller comes in after the buyer is finished to finalize. Sometimes the transaction is not completed until the buyer’s bank transfers the money or the deed is sent. Sometimes closings take more than a day to complete. Once your Realtor hands you the keys, the buying process is over—just in time for the MOVING PROCESS!